Allen Curry outside of the garbage truck he drives for GFL Environmental. Before 5AM every workday, Allen Curry departs his house in Detroit for a 40-minute drive to the Wixom area. Then his 12-hour shift begins. 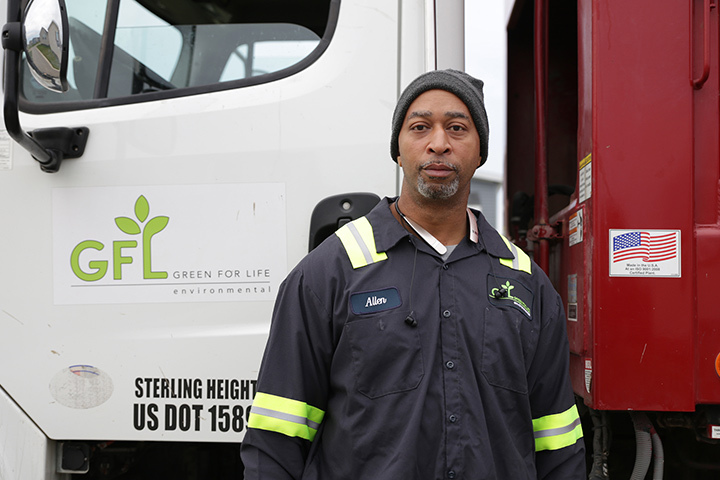 Allen operates a garbage truck for GFL Environmental. It’s strenuous work. Four years ago, Allen was sent to prison for the second time for drug-related offenses. Allen served two years for his last prison term. He was 45 when he was released, and he knew his life was at a critical juncture. Allen found a factory job, but it didn’t pay well and didn’t offer the opportunity to advance. Then he saw that Southwest Solutions, though our Earn + Learn program, provides free training for individuals to attain their Commercial Driving License (CDL). Allen knew that truck driving is a high-demand and felony-friendly occupation. His father had also been a truck driver, and was able to earn a good living to support their family. In February of this year, Allen started the month-long work-readiness part of Earn + Learn. In this daily workshop, he brushed up on his math and computer skills, earned occupational certificates, and learned “soft skills” to obtain and keep a job. To get to the program in Detroit, Allen had to take the bus because he lacked a car. The bus ride was two hours each way. Earn + Learn provided bus tickets, otherwise Allen could not have afforded to take the program. In March, Allen started class at the US Truck Driver Training School in Sterling Heights. 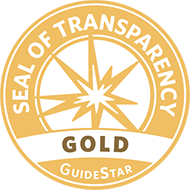 The school is a training partner of Earn + Learn. The bus ride was even longer than before, but Allen was determined to pursue the new career he’d chosen. In April, Allen graduated from the school and completed his CDL. He quickly landed a job with GFL Environmental, and started at $17 an hour. He was able to buy a used car to get to work. To learn more about Earn + Learn, contact Manny at 313-297-0091 or via email.